FRIDAY IS NATIONAL Cheeseburger Day. It's perfect timing, as The Cheeseburgers get ready to kick off the fall portion of the Hot Off The Grill Tour. 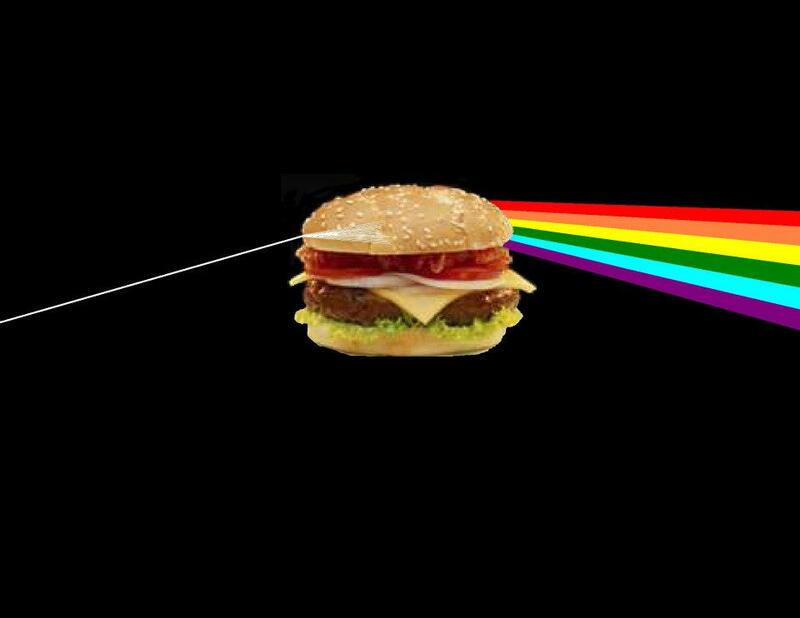 Dark side of The Cheese. Yum! Brian Myles of KICK FM in Quincy gave us some major love in honor of the big day. Click here for the must-read interview. And if you think it's easy to play guitar when your hands are full of sesame seeds, well, think again. We play Saturday night at Pop's Club in Hannibal from 7 to 11. We've never been to Pop's and we've been promised it's a good time, and we are ready to rock. Justin Sievert will be playing bass. The next Saturday we are at the 104 Grill in Meredosia. We have shows Oct. 31 at Quincy University, Nov. 14 in Carthage at a wedding, Nov. 21 at the Elks Lodge in Quincy, and New Year's Eve at the Keokuk Yacht Club. Can't wait to celebrate our own big day - National Cheeseburger Day!